World Jamboree is a world music and food inter-faith charity event in aid of Health Poverty Action, an international development charity working to improve the health of the world’s poorest people. The event, now in its third year, has grown year on year and is set to continue this trend with new artists being introduced to the line up. 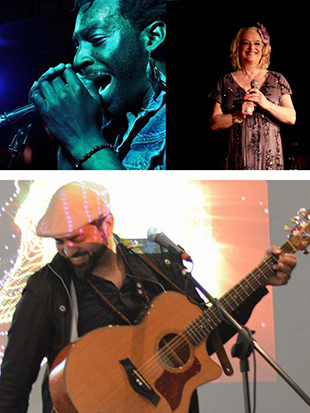 Musicians performing will include both Arab and Jewish artists along with others from around the world and they include: Sebastian Blake (hailed by some critics as the Buddhist Prince), acclaimed vocalist and kirtan leader Nikki Slade, sufi stars Silk Road, jazz with Toni Green, Ashley Knight, Yan Yates, Namvula and Abdelkader Saadoun. Chefs from around the world cook up a feast of fantastic flavours. Last year saw food from Italy, France, India, Japan, America and Angola. World Jamboree is also supported by Whole Foods who will also be providing food for the event. Organizers are in talks to have the event screened live across the world by Osargenews.com which was launched recently to bring together news from Africa and the African diaspora. The event will be introduced by several faith leaders, including Buddhist youth division leader Kiyoshi Inoue, Rabbi Natan Levy, Mr Jay Lakhani and Iman Muhammad Al-Hussaini. At a time of unprecedented religious tensions throughout the world, World Jamboree is a welcome reminder of the possibility of interfaith co-operation and aims to break down the barriers between religions and initiate a dialogue for peace. Info: World Jamboree takes place on Sunday 21 September 2014, 6pm - 9.45pm at the Jewish Museum 129-131 Albert St London NW1 7NB | Book online at or make reservations (from 26 August 2014) by calling 020 7840 3777 – to pay on the night.